West Covina’s 2014 Obon is this Saturday, June 28th at the East San Gabriel Valley Japanese Community Center! 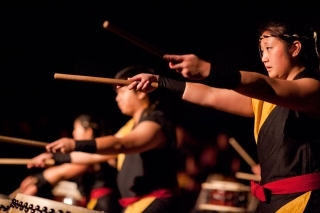 Please join us at this wonderful Japanese festival, featuring food, games, entertainment and, of course, Kishin Daiko (taking the stage around 5:30pm). Admission is free, but plan on getting there early to find a parking spot. For more information, you can visit the West Covina Buddhist Temple’s site here, or download the flyer.